Construction is a grave task which incorporates several techniques and products to create everlasting and durable buildings. To maintain optimum quality of the surfaces, it is important to make them resistant to water damages so that they look good for years. Red Guard is the trusted name in waterproofing which ensures foolproof protection of the surface area before tiles are installed. It is extensively preferred for usage in residential and commercial complexes. 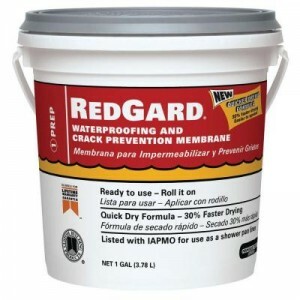 What is Red Guard Waterproofing? It has a formula which instantly dries, this saves curing time. The ease with which it can be applied is simply outstanding. Take an airless sprayer, roller or trowel and get down to work. It is best used as a shower pan liner, by meeting the standard specification codes of plumbing. Prepare the walls for application of Red Guard membrane. Use a spray bottle and wet the walls for putting on the Red Guard. Take a paint brush and systematically apply coats in all the angles and corners of it. Corners are troubled areas which can be painted beforehand. Now, you can use a paint roller in addition with pan to spread it throughout the walls. You may elongate the roller by using an extension which will help you cover more areas. On application, it will appear pink but once it dries up, it will become deep red in color. After the first coat dries up, use a second coat on the entire surface. To know whether it has dried completely, rely on the change of color from pink to dark red. Use proper technique to apply the coats. Apply horizontal coats in the first go and on the second turn, use vertical coats on the surface for optimum coverage. Even though it is said that 2 coats are enough, you may use a third one if you desire. Make sure that the Red Guard doesn’t contract much to give rise to voids as it has a tendency to shrink. Apply carefully at the ridges and corners. 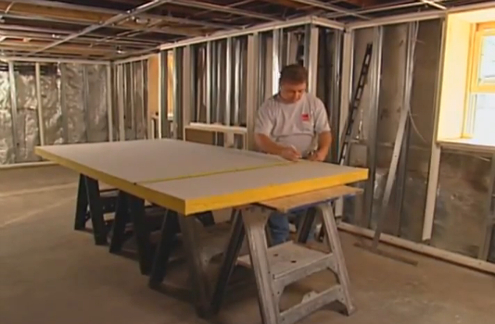 Once it is dry and all set, you can put the tile on the membrane with the help of thinset mortar. Place a bucket of around 5 gallon and mix water with dry mix fortified thinset mortar. Make it as much thick as required and let it set for 10 minutes at least. After that, do not mix water but mix the entire mixture again for smoothening it. Use a margin trowel and pour the mixture into the Red Guard membrane. An area of around 3ft by 3ft can be filled with it and then it can be spread to allow the tile to set. Now fix the tile on the thin-set before it dries up and allow it to remain till 24 hours. Make sure you do not tamper with it anyhow. You can even use it for other tasks like making shower niches extra waterproof and applying at the back of backerboards as it poses difficulties in putting plastic vapor membrane. It may take around 1 hour to 1 ½ hours to dry up completely. Change of color from pinkish to deep red will indicate complete drying of the membrane. Drying time might not be uniform as the environment where it is getting done influences it. Can you use a pre-mixed mortar or mastic for tile over rad guard? « How to Repair a Slab Leak?